Lupita & Gabriel were so COMPLETELY IN LOVE and it was the cutest thing to capture! 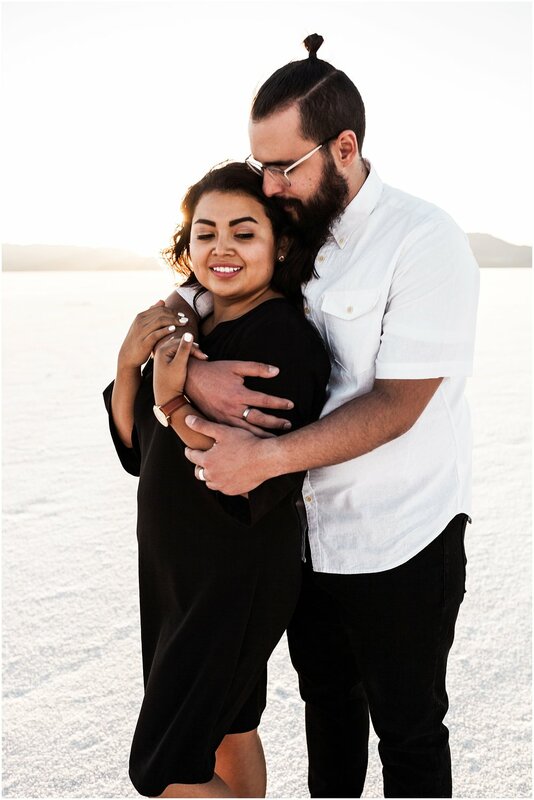 We drove up to the Bonneville Salt Flats together and we quickly bonded over showing each other new hip-hop and rap music (introduced them to NF so you know it was real) and they told me all about their amazing love story. These two met online and sparks flew. If you can’t tell, those sparks never stopped flying because these two were still so starry eyed for each other. Check out their adorable engagements below!